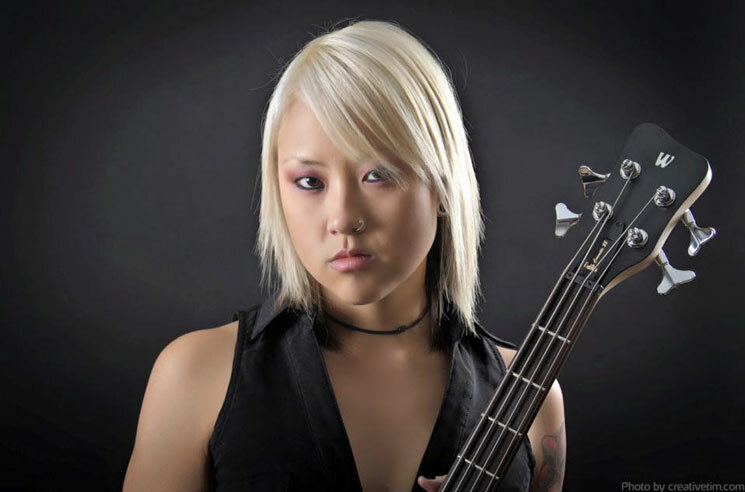 Earlier this week, Canadian metal group Kittie announced the tragic death of their 31-year-old bassist, Trish Doan. Now, two of the band's members have shared passionate tributes to their fallen bandmate. As The PRP reports, statements have emerged from vocalist Morgan Lander and former bassist Ivy Vujic Jenkins. Forgive my absence, I have been struggling with the right words and having trouble processing the loss of someone who I counted among my best friends. Thank you to everyone for reaching out, your kind words, stories and photos. She was truly loved by more people than she could ever know. From the moment I met Trish there was an instant bond between us that I could never really explain. Perhaps we saw within each other many of the things that were reflected within ourselves; qualities that made us intrinsically who we are, and we clung to that dearly. I think she also looked up to me a great deal, and I appreciated the responsibility of what that meant as a friend. We grew up together to become better people than who we once were and through everything she and I always remained very close, part of the support system we both needed. I loved her like a sister and she was a part of my family, now forever changed. She with her boundless energy, 10,000 ideas and a fiery, vibrant light that could never be extinguished, even now. I love you Trish and I miss you. Anyone who has ever met Trish Doan knows that she was one of the sweetest, kindest, most down to earth people on this planet. I loved seeing her beautiful photos of Australian sunsets and city skylines, and nerding out about bass gear and geeky tech stuff. Everyone loved Trish more than she ever realized. She has left an imprint on so many lives. Her memory and legacy will outlive her physical form for many years to come. Much love to Trish's family, friends and all of the world that was touched by her presence. Trish, you are loved and greatly missed. Doan joined Kittie in 2005. Due to struggles with anorexia-athletica-nervosa, she left the band in 2007 before rejoining in 2012. Kittie's last studio LP was 2011's I've Failed You.